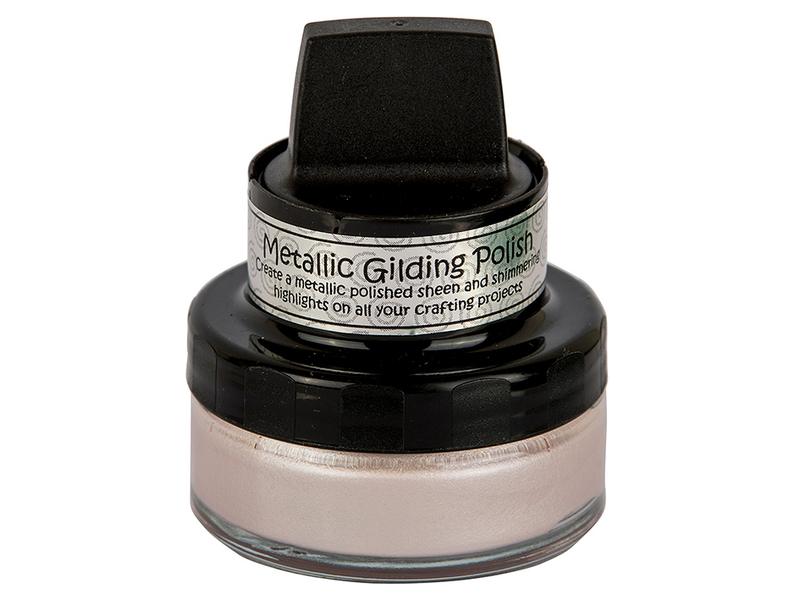 The water-based metallic gliding polish will give a pearlized look to a card or other crafting projects. The sponge tool is encased in the top of the lid. Take the sponge, dip it in the jar and wipe excess off on the jar's edge. Add color to any surface. Try an embossed raised pattern and make it stand out by adding the polish over the lightly over top or completely cover by adding additional polish. Use several colors to create a unique look.